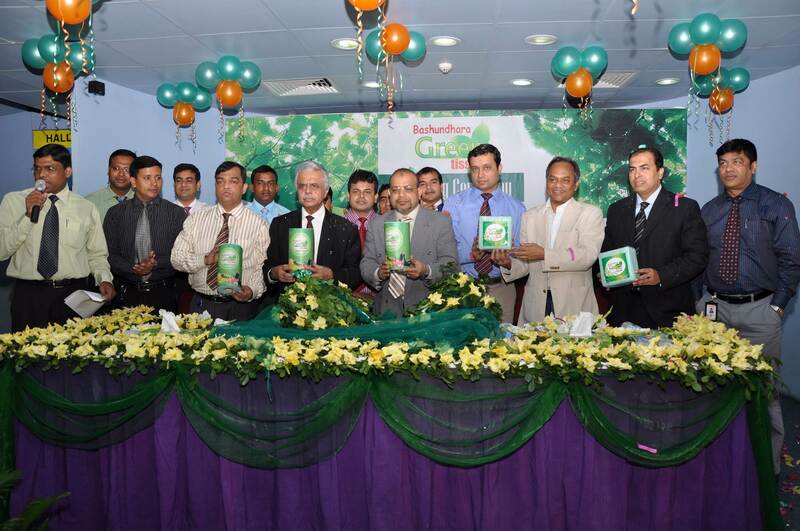 Bashundhara Paper Mills Limited has introduced green tissue, the first of its kind in the country, yesterday at the Star Cineplex of the Bashundhara City. Deputy Managing Director of Bashundhara Group Md. Mustafizur Rahman, formally unveiled the cover and launched the product jointly. Bashundhara is a distinguish name in the tissue industry. They are leading the market of the tissue products in the country. After meeting the demand of the tissue products of the country with a range of products, Bashundhara Paper Mills Limited has brought green tissue to meet the global urge for environment friendly products. Green tissue, at present, will be available in paper napkin and kitchen towel range. After launching the product the Deputy Managing Director Md. Mustafizur Rahman answered different questions from the media people. He said that Bashundhara Group has always been working for the betterment of the country and never compromised with the quality of its product which earned them the confidence of the consumers. “Its affordable price, high tensile strength and maximum absorption capacity will make it popular among the consumers”, he added. The technical advisor to the BG chairman TIM Latiful Hossain, ED of EWPD (M & S) Bidyut Kumar Bhowmik, Sr. General Manager of BCDL Mojor (Rtd.) Mahadi, Joint Editor of the daily Kaler Kantho Imdadul Haq Milon, Deputy General Manager (M & S) of Bashundhara Paper Mills (Unit–3) Aminul Haq Sarker also addressed the program.